H. BRAD PARKER was born in Dallas, Texas and has been practicing law for over 30 years. 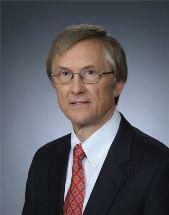 Admitted to the Texas State Bar in 1978, Mr. Parker was formerly a shareholder at Parker & Knabeschuh, P.C. He is the founder of H. Brad Parker, P.C. Mr. Parker is admitted to practice in all Texas Courts; U. S. District Court, Southern, Western, Northern and Eastern Districts of Texas; and U.S. Court of Appeals, Fifth Circuit. He is a member of the Texas Bar Association, the Houston Bar Association, and the Pasadena Bar Association. He has been Board Certified in Civil Trial Law by the Texas Board of Legal Specialization since 2013.